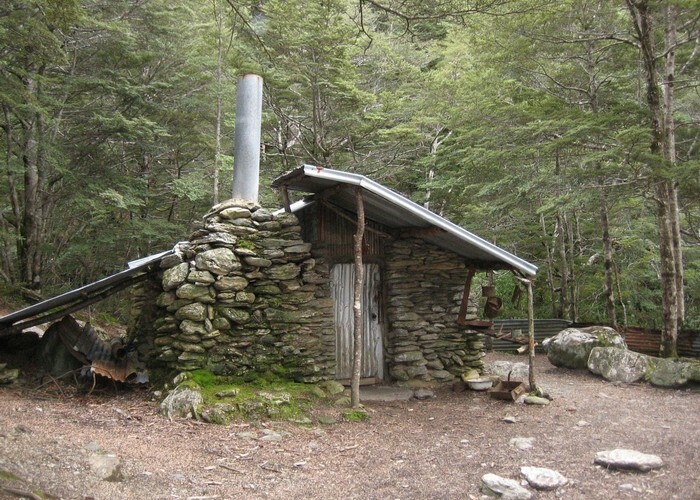 This hut was built in the 1930s by Bill Summers. He and his son Sam prospected here and lived in the hut for 10 years. Sam Summers hut • By iangeorge. Licence: C.
Good loop track from the Mount Crichton Scenic Reserve carpark (1km past the Twelve Mile Delta campsite on the Gelnorchy Road) leads past the hut (1hr from road). Added 11 June 2011 by cluanbeagcluanbeag. 3 revisions, most recently 28 July 2013 by MatthewMatthew. 213 views in the past year (18 per month).